In this short review you can read more on how the new Me Elos technology works, so you know how it removes hair. Learn what are the benefits and downsides for the ‘me’ Elos hair removal system. ELOS stands for ELectro-Optical Synergy technology. This means in the Me hair removal device uses TWO hair removal methods within one home hair removal kit. The ‘EL’ stands for the Electro technology which is the radio frequency (RF), and the ‘O’ stands for Optical which is the intense pulse light (IPL), and ‘S’ for Synergy. That’s why you will see the IPL+RF always together when referring to the MeMyElos hair removal system. Lets explain the Elos technology works in simple words and without science tech terminology. See the Me my Elos full details (and price) here. In general IPL (Intense Pulse Light) works on the simple physics that turn light into heat. 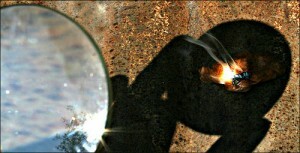 If you place your hand under a magnifying glass outside at a sunny day, the beam of light will be so intense you will feel the heat and the burn. If you place a (black/white) newspaper under the same magnifying glass, you will find that the sun beam will burn a hole in the black parts but not in the white parts of the paper. That is because light energy is absorbed by dark color much better than in white color surfaces. This light/heat physics are the basics of all IPL and laser hair removal machines, they all work the same way. The IPL hair removal device produces a flash of intense light, the light which is projected at the skin reachs the hair shafts or the bulb (root) of the hair. If the skin color tone light and the hair color is dark (because of high concentration of melanin) the light is converted to heat energy, the bulb and most of the hair shaft are then damaged and destroyed. 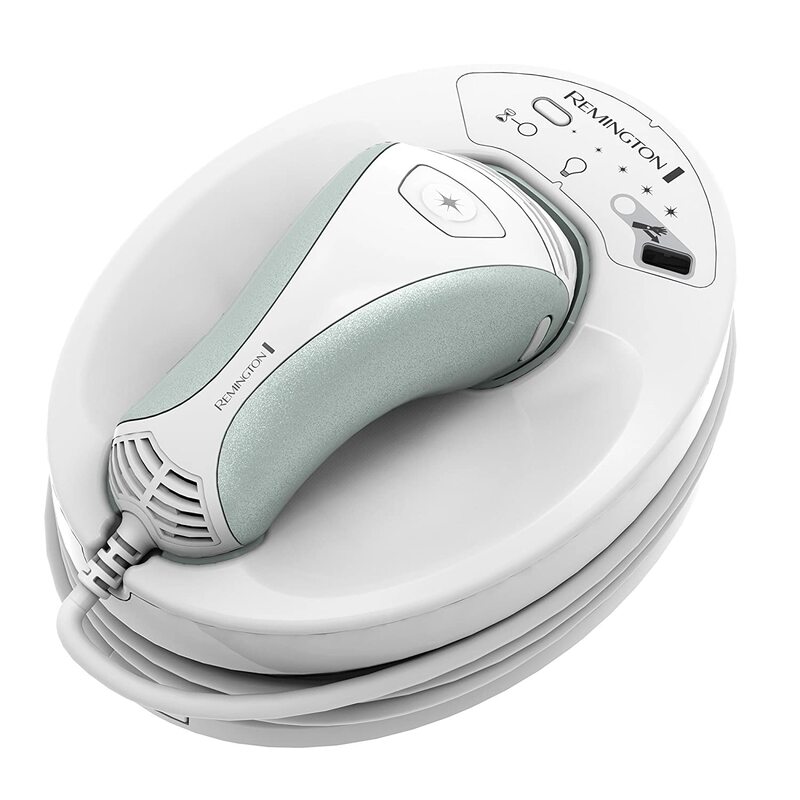 The Silk n SensEpil is the leading IPL (they call it HPL) home system hair removal brand. How Is Me Elos IPL Different? In order to destroy the hair by heat there is a need for a very high energy light pulse. High energy and heat means.. Pain. Laser light machinesfor hair removals have a very concentrated light beam, sometimes a few millimeters wide.. (Like the TRIA Laser and the DM 7000 Laser ). Most IPL have a flash light lamp and an Inch light spot (2.5 cm) which is painful but less than the laser beam. The Me my Elos hair removal technology uses lower IPL light energy, strong enough to heat the hair, but not strong enough to cause pain or vaporize it completely. The Me my Elos hair removal system has the added RF (radio frequency) technology that works synergistically with the IPL energy to complete the heat needed to destroy the hair, but not heat the surrounding skin. Lets understand how the Me my Elos Radio frequency hair removal works, the physics of the radio frequency heating are similar to the light energy heating. Hey, it is not any tech stuff, but the most simple experiment you probably know from everyday life.. Radio Frequency otherwise called electromagnetic energy, is something we all have in our cellphones!! Anyone with a cellphone knows that after a lengthy cellphone conversation they heat up the ear (and the brain too..) that is ‘RF heating’. Heating of materials by radio frequency. Another way to understand electromagnetic heating is the home microwave which works on different kind of waves (NOT the same frequency!) and heats the food by the non-contact process. How Radio Frequency RF Heating Works? The Radio Frequency technology heating is known at science as Dielectric heating. This means that the RF electromagnetic waves cause heat usually by contact with the material surface heating non-metal materials (like the human hair) solely by the inability of the molecules inside the hair to line up with the small electric field. The RF (radio frequency) heats usually a non-metal material which is sandwiched between metal plates forming a capacitor. How Me Elos RF Works? The Me my Elos uses bi-polar radio frequency (RF) that are set at the sides of the Me hair removal hand device, while the IPL light pulse reaches the hair melanin and heats it up, a short radio frequency is transmitted right after, through the bi-polar electrodes. 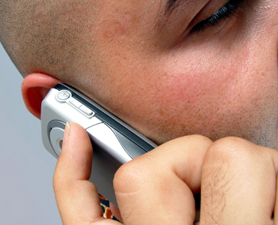 Like with the ‘cellphone experiment’ the Radio frequency heats the hair root even more (but not the surrounding skin!) and destroys the hair in the shaft. The RF targets areas which were preheated by IPL optical energy and avoids cool areas. What Are The Me-Elos Benefits of IPL + RF? While trying to destroy the hair by heating with only ONE technology means using very intense light (as in LASER) or very high frequency waves (like the microwave oven). There are several benefits for the IPL when it is combined with the RF technology. Safer For Skin – Using two technologies together (IPL+RF) means less light energy is needed for the complete destruction of the hair. 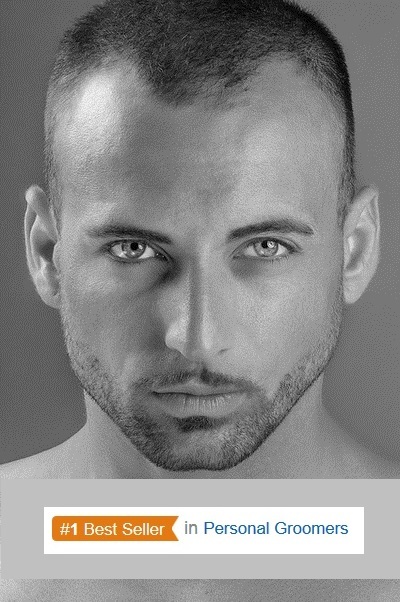 So Me Elos hair removal is safer for the upper epidermis skin layer. Less Pain– Unlike the laser painful ‘ZAP’, the IPL light do pinch, since the Me Elos hair removal uses less light energy the pain is much lower, the Me Elos pinches less. Treat Darker Skin Color Types– The Me my Elos hair removal system use light energy at a level that is safe for more skin types. 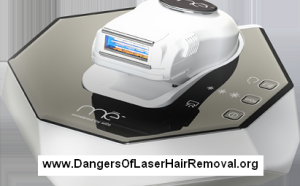 As the Me-my-Elos IPL light is less intense than other IPL machines and lasers, meaning the skin heating dangers are lower, people with more melanin at the skin (dark skin) can use the Me hair removal. Faster Sessions– As the light only pre-heats the hair and the radio frequency is the technology that actually destroys it. Less time is needed at any spot to complete the heating process. Unlike other home systems where a few seconds are needed between each light flash and system re-loading, the Me hair removal hand piece can glide over the skin like an ‘electric shaver’ and the whole hair removal heating process is done in the mean time. The main downside for most people is the Me my Elos price. The new advanced technology costs more than the IPL machines like the Silk n SensEpil and more than the home laser systems like the TRIA and the DM 6000. For some people the $500 of the home IPL or laser hair removals is already beyond their reach, so the ‘Me’ hair removal price is totally un-affordable. For those who can afford the TRIA or the DM 6000 adding a few hundred bucks may be a wise investment as the numerous sessions will be quicker, and the pain will be more tolerable.. and for some this alone may be worth the Me my Elos hair removal premium price. This entry was posted in Home Hair Removal, Me my Elos Hair Removal and tagged Homedics ME Pro Ultra, me my Elos hair removal, Me My Elos Pro-Ultra Hair Removal, Me My Elos Syneron, memyelos by . Bookmark the permalink.